New hospitals and old schools were just two of the subjects taken to the annual Rural Ontario Municipal Association by a delegation from Prince Edward County last week. Mayor Steve Ferguson was joined by councillor Ernie Margetson and CAO James Hepburn at the Sheraton Centre in downtown Toronto for a series of information sessions, meetings with members of various provincial ministries and conferences with other delegations. “It’s an extremely busy but good and effective three days,” Ferguson told the Gazette. The Prince Edward County delegation joined other as over 1,000 counterparts from the various rural municipalities of Ontario joined together to meet for the first time after last June’s provincial election and key session topics include cannabis legalization, changes to labour laws and energy. There will also be sessions related to planning and economic development. Ferguson mentioned meetings concerning internal asset management, 5 G technology and agri tourism as particularly poignant sessions. 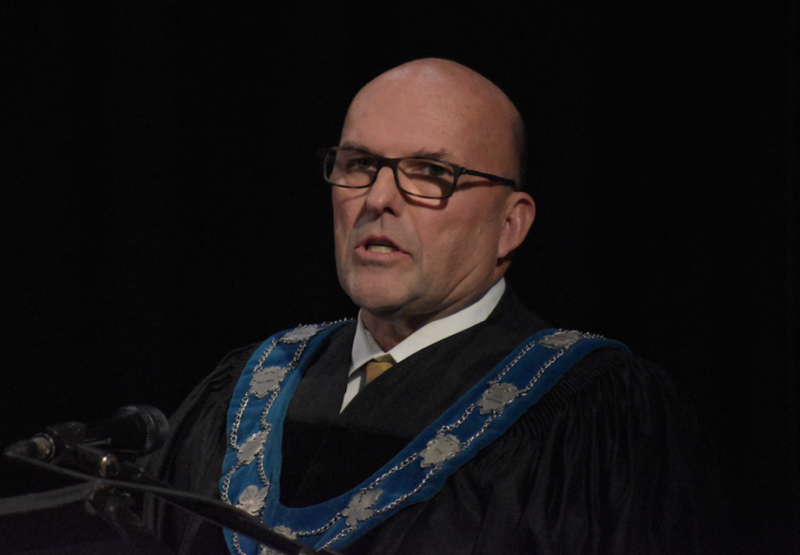 “There was a very inspirational key note address on leadership in small towns and rural areas and it provided a number of really good ideas we could look at implementing in Prince Edward County,” Ferguson added. “We’re only allocated ten minutes with each so we needed to make the points as quickly as we could and you want the ministries to understand the importance of Prince Edward County above all other municipalities in Ontario,” Ferguson said with a laugh. While there has historically been hand wringing in this community about Prince Edward County Memorial Hospital and there will likely be doubters of the redevelopment project right up until the ribbon cutting ceremony, Ferguson reported that a new PEMCH remains a on track of the MOHLTC even after the change in government. Elliot confirmed with Bay of Quinte MPP Todd Smith in attendance that a redeveloped PECMH is a clear priority of the province. Until examined, the geographical disparity of this island community might be lost on someone who hasn’t been here and travelled to places like Long Point or Point Petre. “In addition to our residents, we are welcoming over 1.5 million visitors per year to Prince Edward County and regrettably, some of those visitors will wind up going to PECMH. If you are out at the Bird Sanctuary or live at Long Point and you suffer an accident, getting to Picton will be bad enough,” Ferguson said. The Prince Edward delegation was able to provide a positive update on the Community Hub project at Sophiasburgh Central School as well as the LoveSong project that will transform the former Pinecrest Memorial School into an affordable 50 unit seniors housing and hub facility. 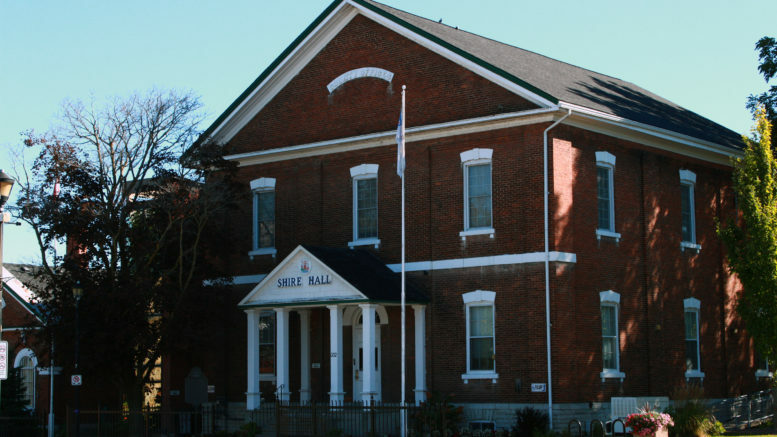 As well, Ferguson was able to explain to Minister Thompson some of the possibilities for the former Queen Elizabeth school should a joint submission between the County of Prince Edward and Prince Edward Lennox and Addington Social Services secure the building and surrounding acreage. “We know that this a significant property in a great location that could offer a number of housing strategies,” Ferguson said. Infrastructure concerns seemed to be a very common thread no matter which delegation was speaking and all local drivers in Prince Edward County would be able to reinforce that notion. And while infrastructure concerns and upkeep challenges are not a rear bread of animal native only to Prince Edward County, the municipality was unique in that around 1.5 million people pay the island a visit annually. Sessions with Eastern Ontario Warden’s Caucus also selected cell service gaps as one of two identified priorities.